Above the mountain is the dome of the sky. This is symbolized by the parasol umbrella, whose important function is to cast a shadow, the shadow of protection. The dictionary defines a parasol as an umbrella used for protection from the sun. Thus its function is to protect exclusively from the heat rather than the rain - as the word 'parasol,' meaning 'to hold off the sun,' and 'umbrella,' meaning 'little shade,' similarly imply. The Sanskrit term 'chattra,' also means 'mushroom,' in an obvious reference to its shape. The parasol or umbrella (Skt. chattra; Tib. gdugs) is a traditional Indian symbol of both protection and royalty. The ability to protect oneself against inclement weather has always, in all cultures, been a status symbol. In Europe, until a few decades ago, a sunshade was a status symbol for society ladies. In Oriental thought, the fact that it protected the bearer from the scorching heat of the sun was transferred into the religious sphere as a "protection against the heat of defilements." Thus the coolness of its shade symbolizes protection from the heat of suffering, desire, and other spiritually harmful forces. The dome of the umbrella is held aloft by a vertical handle (just like the mountain upholds the sky), which is identified with the 'axis mundi,' or the central axis upholding the world. The umbrella is carried above an important dignitary or the image of a deity, to indicate that the person or symbol below the umbrella is in fact the center of the universe, and also its spiritual support. Umbrellas seem to be especially important in processional rites, being like mobile temples. 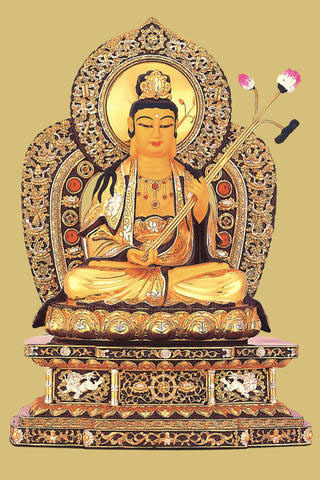 Thus, depictions of the Buddha often display an elaborate and large umbrella above his head. In Tibet, depending on their status, various dignitaries were entitled to different parasols, with religious heads being entitled to a silk one and secular rulers to a parasol with embroidered peacock feathers. Exalted personalities such as the Dalai Lama are entitled to both, and in processions, first a peacock parasol and then a silk one is carried after him. The Tibetan version of the parasol was adopted from its royal Indian and Chinese prototypes, and fashioned from a wooden, spoked frame with a domed silk cover and hanging silk pendants making up an overhanging skirt. 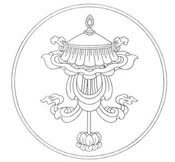 The dome symbolizes wisdom, and the hanging skirt, compassion. Thus the composite form of the parasol signifies the union of these dual elements. Octagonal and square parasols are also common, representing the Noble Eightfold Path and the four directional quarters respectively. 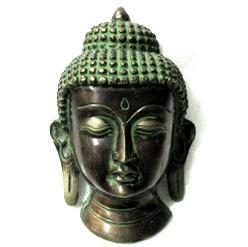 In the earliest centuries of Buddhism, statues of the Buddha were not used. Instead, Buddhist art consisted of images symbolizing the Buddha and his teachings, such as the lotus, the Wheel of the Law, the Bodhi tree and the Buddha's footprints. Eventually, the Buddha image became one of the most popular representations in Buddhism, but these early symbols remain important and are frequently used to this day. They are especially important in Theravada Buddhist countries like Sri Lanka and Thailand. 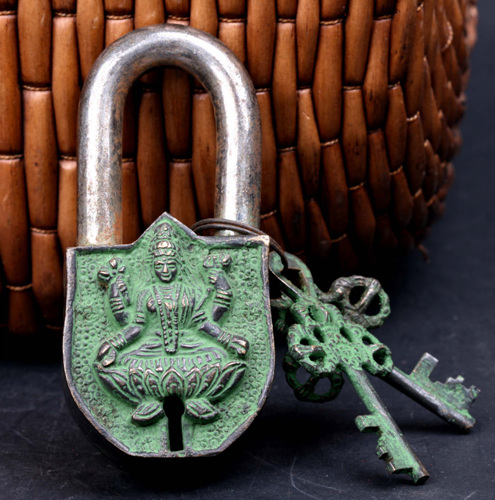 As Buddhism spread, Buddhist symbolism was enriched by the cultures it came into contact with. This is especially true of Buddhism in Tibet, which has developed a rich symbolic tradition. The central symbols of Tibetan Buddhism are the Eight Auspicious Symbols, known in Sanskrit as Ashtamangala (ashta meaning eight and mangala meaning auspicious). The Eight Auspicious Symbols are printed on Tibetan prayer flags, incorporated into mandalas and thangkas, and used in other forms of ritual art. Another important symbol is the Wheel of Life, a symbolic representation of the universe as understood by Tibetan Buddhists. 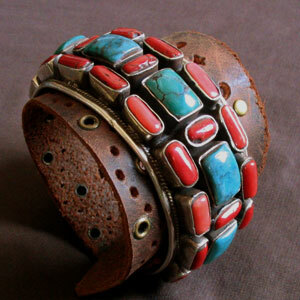 The most precious & widely used gemstones in Tibetan artworks & Tibetan jewelry - turquoise & coral. Coral is known to be used as a gem since prehistoric times. Has a history of religious meaning and is one of the seven treasures in Buddhist scriptures. Turquoise is one of the world's earliest-used gem materials. Ranked with the jades of the Orient and lapis in the Near East, turquoise has been revered for thousands of years. Coral was long thought to be a strong talisman against bleeding, evil spirits, and hurricanes. 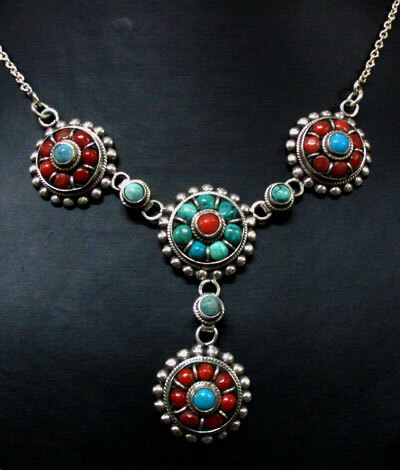 This Handmade Tibetan Double Stone Stirling Silver Necklace is handcrafted by the Tibetan Craftsmen from stirling silver and top-grade natural turquoise and red coral. 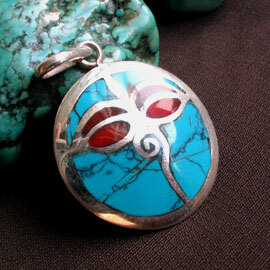 This Handmade Tibetan Buddha Eye Pendant was made in Nepal from stirling silver & turquoise. 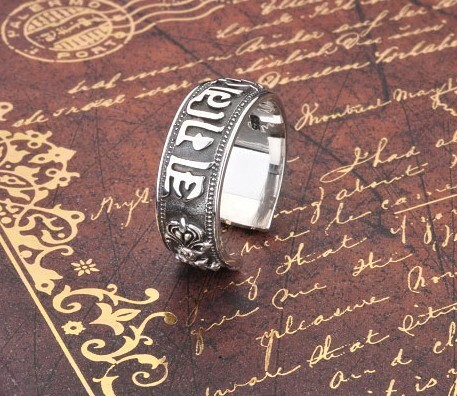 Buddha eye is the Nepali character for the number 1, which symbolizes unity of all the things as well as the one way to reach enlightenment—through the Buddha's teachings. Above this is a third eye, symbolizing the all-seeing wisdom of the Buddha. This Handmade Tibetan Necklace was made in Nepal from Turquoise, Red Coral, Lapis Lazuli & Stirling Silver. 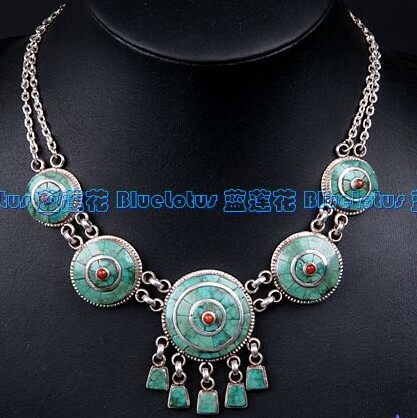 Very Charming Tibet Necklace. Om Mani Padme Hum can not really be translated into a simple phrase or even a few sentences. By pray the OM Mantra words, all of the Dharma is based on Buddha's discovery that suffering is unnecessary: Like a disease, once we really face the fact that suffering exists, we can look more deeply and discover it's cause; and when we discover that the cause is dependent on certain conditions, we can explore the possibility of removing those conditions. 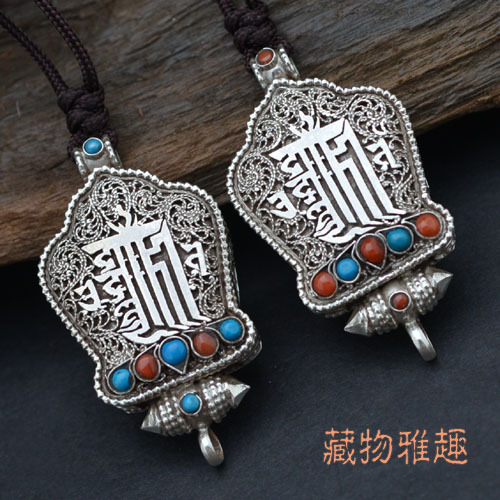 One of the most stunning pieces of Tibetan jewelry is the famed Ghau pendant. Also called a prayer box pendant, this jewelry piece often features rare and unusual gemstones and incredible carved silverworks. In Buddhism, the Ghau is actually a portable shrine that holds an image wrapped in silk that represents the owner's personal deity. Some Ghaus have a small opening allow you to see the personality deity. Tibetan Buddha Statues come in the shape of every possible Buddhist deity. In general, Buddhism is a practice of finding peace within oneself. Tibetan Buddhism is practiced by people who live in Tibetan, and there are some practices that are unique to Tibetan Buddhism. In Buddhist practice, singing bowls are used as a support for meditation, trance induction and prayer. For example, Chinese Buddhists use the singing bowl to accompany the wooden fish during chanting, striking it when a particular phrase in a sutra, mantra or hymn is sung. In Japan and Vietnam, singing bowls are similarly used during chanting and may also mark the passage of time or signal a change in activity. The conch shell is an emblem of power, authority, and sovereignty; its blast is believed to banish evil spirits, avert natural disasters, and scare away poisonous creatures. In Indian culture, different types of conch shells were associated with the different castes and with male and female. This Tibetan Buddhist Mask - Sakyamuni was made in Tibet from copper. People of Tibet - The Divinest of All! Tibet serves as a home to many communities like Menpa, Han, Chinese, Sherpa, Dengs and Luopa. The area is quite thinly populated with only 1.68 persons per sq. km on an average. The overall population of Tibet is around 260,0000. The ancestors of the present Tibetans lived on both sides of Tsangpo River and mainly earned their livelihood from cultivation of barely, wheat and peas. There is also nomadic population in Tibet that keeps moving from one place to other herding their yaks and sheep. But slowly more and more people are moving towards cities for better education and job. Are Tibetans A Holy Lot? You will witness a number of religions practice prevailing in the region as the majority of the population is the firm follower of Buddhism. People who follow Islam and Catholicism are present in large numbers, especially in Lhasa and Yanjing. Tibet has the largest number of monks in the world with almost 1/3 of the population being a monk. They are considered to be the ultimate followers of Buddhism. Even you will feel internally rejuvenated by finding the people so optimistic and so proud of their beliefs and religion. Tibetan is the main language that is spoken here. Although the accent and pronunciation varies from region to region but most of them belong to the Sino- Tibetan phylum. What is the Occupation of Tibetans! Majority of the people are still confined to agriculture sector, but the number has been steadily declining. More and more people are getting educated and moving out into the cities for jobs in factories and government postings. Since most tourists more often travel only to the important destinations and leave, they miss out on a lot of local and unique stuff that is really worth visiting. What will strike you the most is the life style and nature of the people of Tibet. They all seem so happy and content in whatever way they live, they work, right from their homes, the dress they wear to the knife they carry, everything is so detailed and carefully chosen. Each community has its own traditional clothing for both men and women. One can easily distinguish the people from their clothing itself. Want to Know More About The People of Tibet? Tibet, you will learn how to be happy and live a life full of contentment without a complaint. Just pass a smile to a Tibetan who is looking at you and believe us you will get an even bigger smile in return. This is the way they are much warm, caring and full of hospitality towards their guests for whom they will go out of the way to help. To learn the simple courtesies of life and to acclimatize moral values there is no other place better than Tibet where one can learn the best of it. They seem like a new breed of humans, happy the way they are, totally unperturbed by outside world. Come to Tibet and get to know these wonderful people, from whom we can still learn a lot about life. Looking For Arts and Cafts of Tibet ! Tibetan art and craft is one of the virtues of the town that can be traced in its most original form, not been influenced even a bit by the western styles and traditions. And the people of Tibet are proud of their this cultural heritage. Whatever be the field, painting, music, crafts, Tibet has its own identity, its own charm. What are the Famous Art Form of Tibet ! People of Tibet consider paintings as strong medium for spreading their knowledge and religion to all possible parts of the world. Most of the paintings portray an unshakable belief of people in Buddhism and the way they lead their life. Most of the paintings in Tibet are frescoes, cliff paintings, Thangka and wood-prints. You will see most of the cliff paintings on huge rocks and what you will find most astonishing will be the close resemblance of these paintings to mid- Asian cliff paintings. Probably, this is because the cliff painting in Tibet is prevalent from pre historic times. Even the frescoes that you will see on the walls of temples, monasteries and palaces are close to the ones that are found in India. 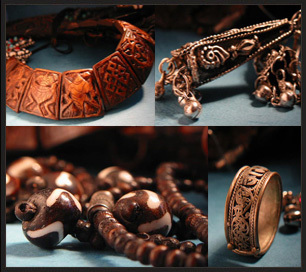 Is Tibet Famous For Its Handicraft Items ! 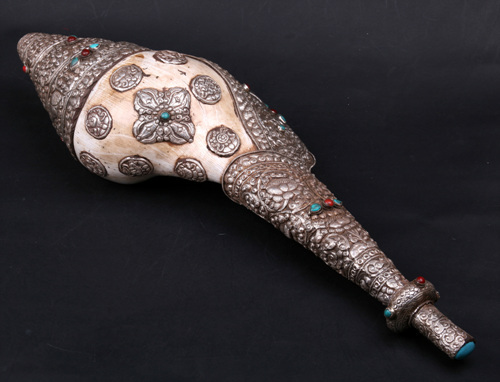 Handicraft works in Tibet are quite unique and rare and their specializations are also quite incomparable. Sharp knives, as a handicraft product, are quite flattering. They are in-fact very beautiful to look at and the shape, decorations and attention given to the minutest of detail, will without a doubt leave you spellbound and definitely increases the temptation to possess one. Though you cannot carry a knife on a flight but you can definitely send them by post to your living place. So when you reach home, expect a shiny and sharp gift from Tibet, waiting for you. Silver ornaments are also very famous in Tibet. 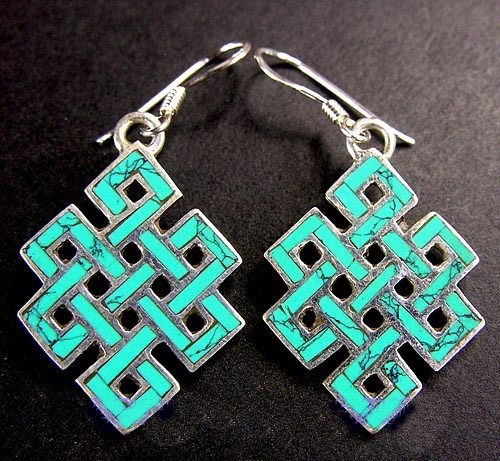 These are worn by almost every citizen of Tibet. These ornaments are studded with different prestigious stones that also are considered to be a symbol of health and good luck. You would not like to leave Tibet without one for yourself as they are exceptionally elegant and classy in looks. Other things that should be part of your shopping list in Tibet are Tibetan carpets, masks and rugs. Do Painted Structure Symbolize Tibet Art ! Painting of the structure in Tibet also form a major part in the showcasing the rich art skills. It is sure that the moment you enter a Tibet city, first thing that catches your eyes will be the intricate use of colors on the walls and roofs of temples, monasteries as well as houses. People here believe that colors have a language of their own and can communicate a feeling very easily. The best example of this is the Potala Palace. The red and white colors used in the building symbolizes power and peace respectively. Apart from the use of colors, even the structure of these buildings is unique. 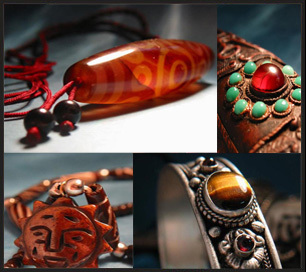 Want to Know More About Tibet Art and Craft ! Tibet is a place where you will find art in almost all aspects of life of people. Be it the decorations in their homes, the clothes they wear or even the knife they carry with themselves should be artistic. You can find all these items to buy on the Barkhor Street which is the biggest market in Tibet. So from the time you land in Tibet, look out for some of the most stunning works of crafts and do catch the most unique form of art in the paintings, handicrafts and architecture of Tibet.